The BERNINA 335 counts among its features a free-arm extension table enabling you to increase your work area quickly, affording you greater ease when sewing, and allowing for optimum control in guiding your project. Together with the bright LED sewing light, this provides you with the perfect view of your project. Large-format projects in particular can be handled effortlessly – and once you are done, remove the BERNINA 335 extension table with the push of a button to return to free-arm sewing. Sew buttonholes with precise accuracy! With the BERNINA 335 automatic buttonhole function, it could hardly be simpler: the preset buttonhole length is stored in the internal memory, letting you sew buttonholes of the exact same length as often as you wish. Here the BERNINA 335 solves a difficult problem, since sewing identical buttonholes can be a bit tricky. With the BERNINA 335, broken bobbin thread or buttonholes of different lengths are things of the past: the automatic buttonhole function gives you perfect results in no time flat. View BERNINA 335 product brochure. 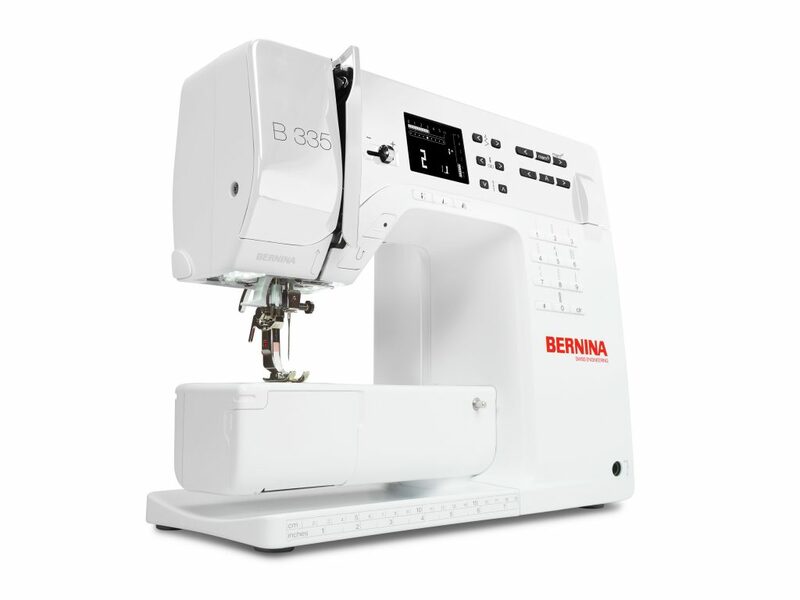 Experience the BERNINA 335 today!